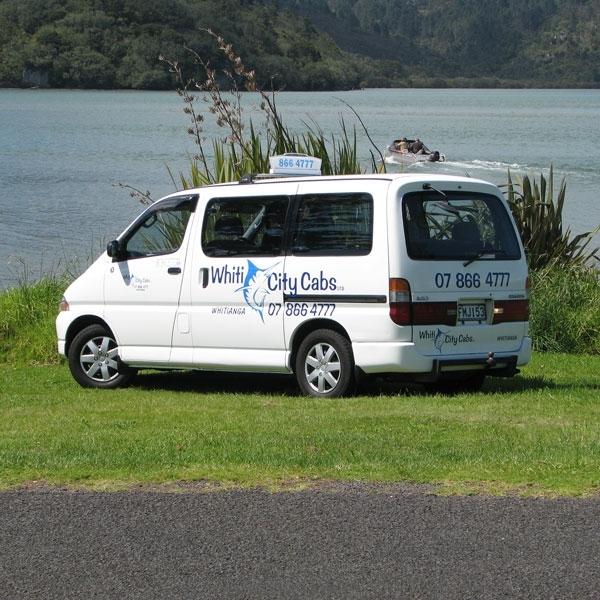 Whiti City Cabs is a Whitianga-based cab company. Our range of services include cab services, private charters and vans. Our trusted team can get you safely around Whitianga, or further afield for special events, ACC appointments or to airport transfers. Our drivers possess the correct licenses, P-endorsments, and our vehicles are fully certified to the highest standards to provide swift, friendly, safe service. We service Whitianga, Matarangi and Kuaotunu areas with our cab service. Our operating hours and days do vary through the year. 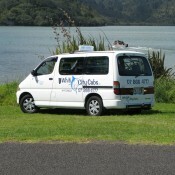 Our local Whitianga cab service has vehicles ranging from a station wagon (4 passengers) to our vans (7 seater and 11 seater) for groups of friends and family. We specialise in Private Hire Charter services include door to door Auckland airport charters when you need to go day or night. We will go anywhere you wish, as you privately hire the vehicle and driver for your journey. Our specialty is to the Auckland Airport whether domestic or international. We can deliver you to the door and meet you on arrival so you can relax after that long flight. If you have an ACC appointment, let your case officer know as we are a prefered ACC vendor and will get you to your appointment and home again. 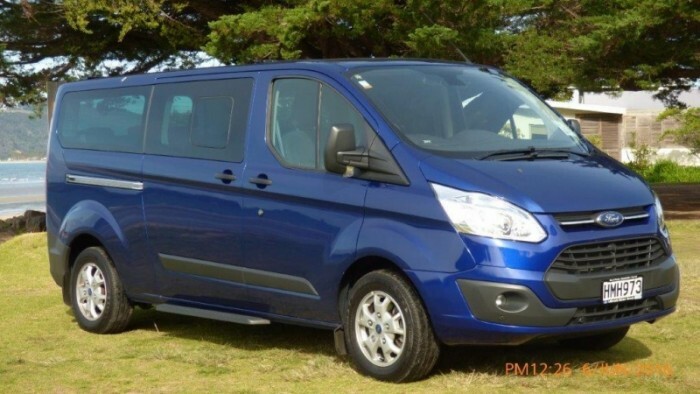 For larger groups, our 11 seater vans are perfect for your event. We regularly provide transport for senior citizens outings, garden groups, and school groups. 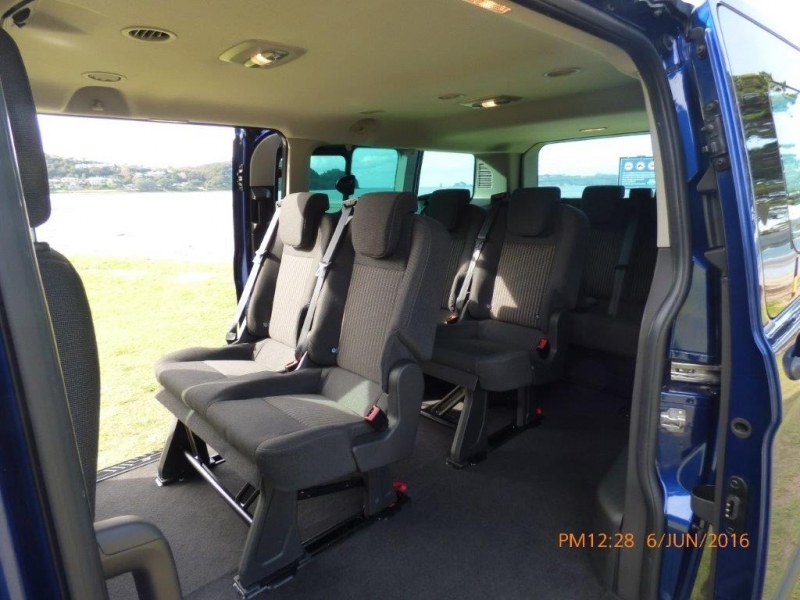 Weddings, parties, a day trip to the Beach, school trips, and sports trips- we can transport a large group safely to their destination and home again. 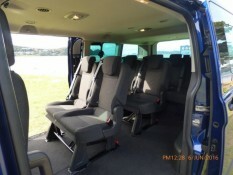 2 x 11 seater vans - please contact our team to make a booking. We have an enclosed luggage trailer that can carry not only luggage, but also golf clubs and push bikes etc. Our friendly Whiticity Cabs team provide friendly professional service, and we are transporting people all year round!